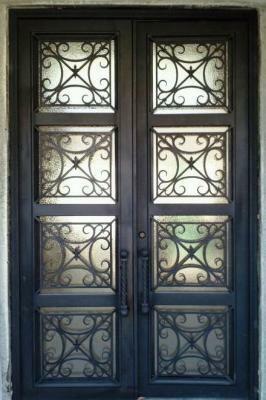 Signature Iron Doors manufactures iron work for remodels and new builds. This door above was built for a family near Chandler Arizona. We keep all of our popular designs in stock. No matter your family’s style, we will provide you with the iron work perfectly tailored for you. Call us and come by our showroom to discuss with our sales team about your home’s iron work opportunities.